EGnuBoy is the EPOC version of GnuBoy, an open source emulator for the GameBoy classic and the GameBoy color. Performance is far from perfect on the Series 5mx, whereas it is acceptable for the Series 7/Netbook. Sound is not supported yet. Latest version is 1.0 read the readme for the list of new features. Latest sources are released under the GNU General Public License. Note that I've reused most stuff from my EMame sources but I haven't bothered to cleanup. If you're looking for EPOC low level graphics and audio handling, I'd suggest you look at the EMame sources instead. 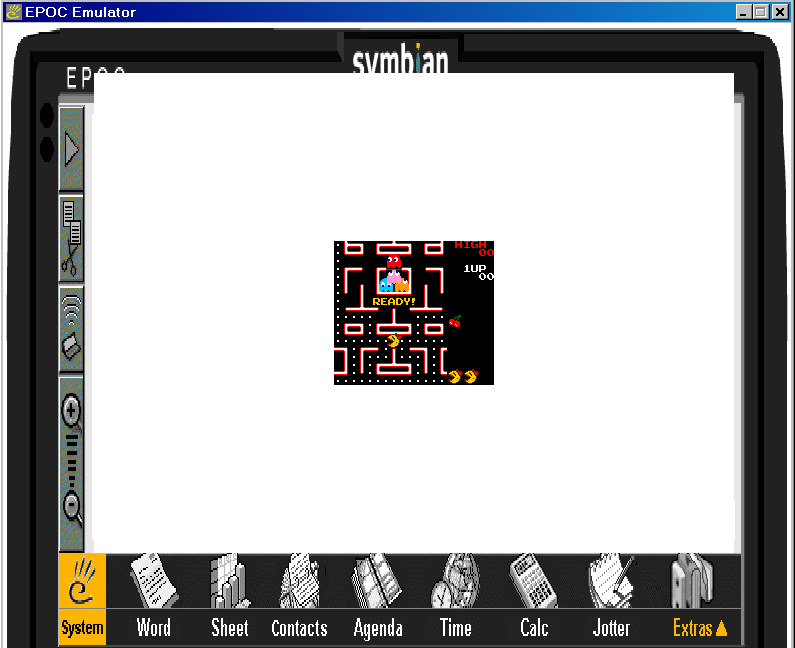 I've only got pictures of games running under the emulator. 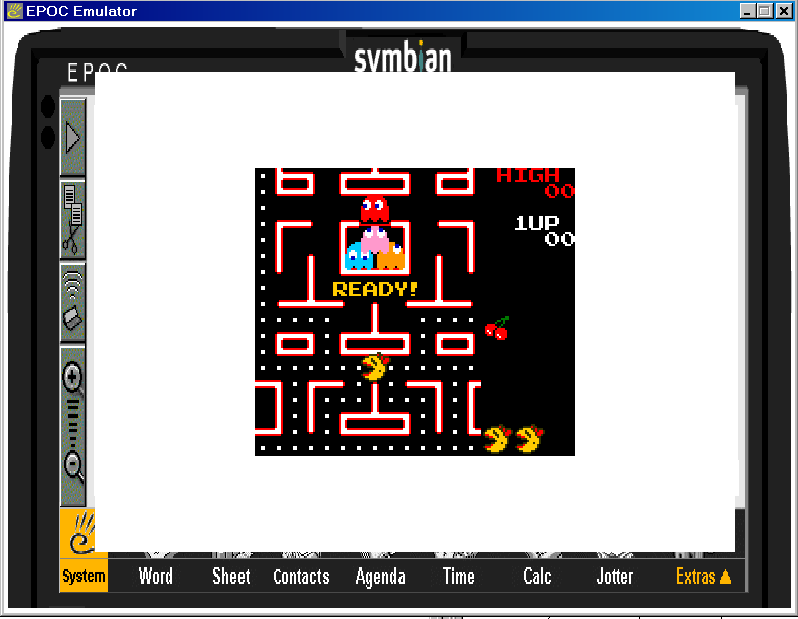 Here's MsPacman running at the normal 160x144 screen size and here's MsPacman running at 320x288.